A great tool to help ensure you always put your best foot forward, this 3 in 1 Groom Kit has it all! Completely compact, this kit contains everything you'll need to make sure you look your best. Each kit comes with a pop-up brush, mirror, and miniature sewing kit. 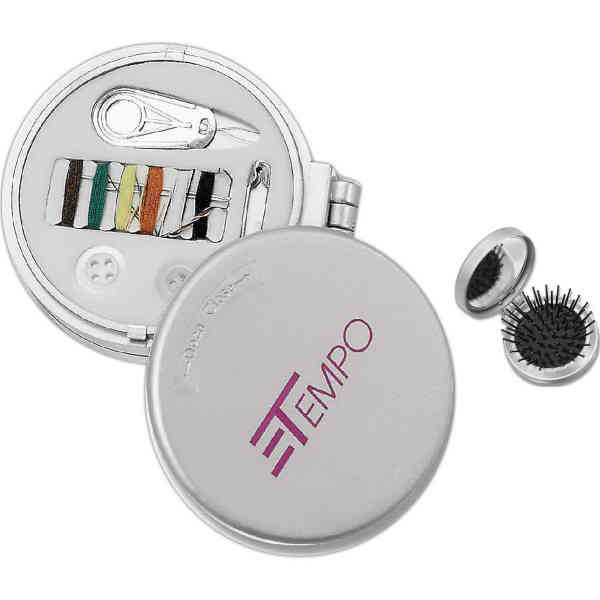 It comes in a compact attractive silver case and is perfect for travel, office, car, and basically anywhere! Size: 2 3/4 " x 5/8 "